Raccoons are found throughout most of the world and are naturally curious. 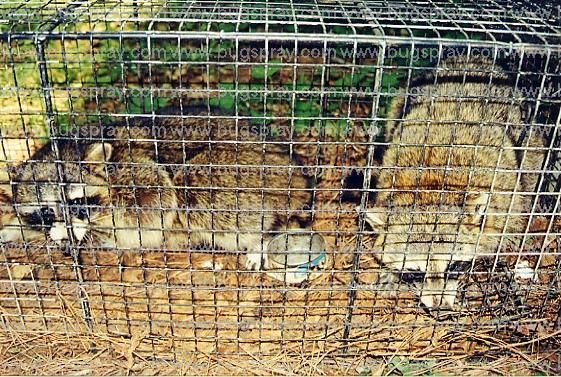 They are easy to live trap and, as this picture illustrates, if a large enough trap is used 2 or more can be caught at one time. If you are having problems with RACCOON and need to deal with a local problem, click on the link below to learn control options. All photos and information contained within this domain are copyright protected and property of www.insectimage.com and www.bugspray.com subsidiaries.